The pirate prince Lazar di Fiori returns with lethal grace to avenge what was stolen from him: his kingdom, his birthright, and his soul. Allegra Monteverdi, the daughter of Lazar's sworn enemy, proves an uncommonly powerful adversary. She throws herself on his mercy, her courage and beauty touching his cold, unforgiving heart. He agrees to spare the lives of her family-but only if Allegra sails away with him as his captive. For his quest for vengeance still burns fiercely, and he will settle for nothing less than Allegra's body and soul. 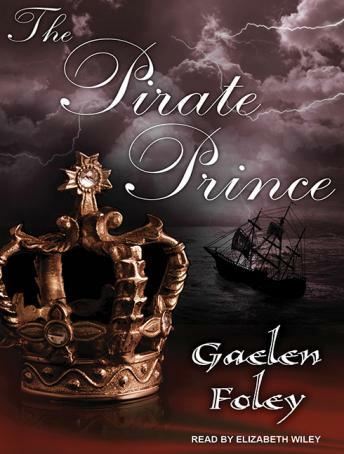 Alone at sea with this dark, intriguing man, moving between seduction and fear, Allegra gazes into eyes as deep and mysterious as the night and sees who this pirate really is. Lazar-the prince of her childhood dreams. But it will take more than her love for this pirate prince to bring peace to her beloved home. For Lazar must face the demons of his shattered past if he is to forge the destiny that is theirs to claim...Contains mature themes.